Get in on the latest in the iPhone app store, the hottest little place to be on earth if you truly believe that for every problem there’s an app just waiting to happen. (Okay, so may be I like the iPhone a bit too much). Magellan has finally gotten in on the whole iPhone game with their new Magellan iPhone app. And it works for the iPod Touch too! It does so in the same way that the Dual XGPS300 works to give the iPod Touch aGPS. 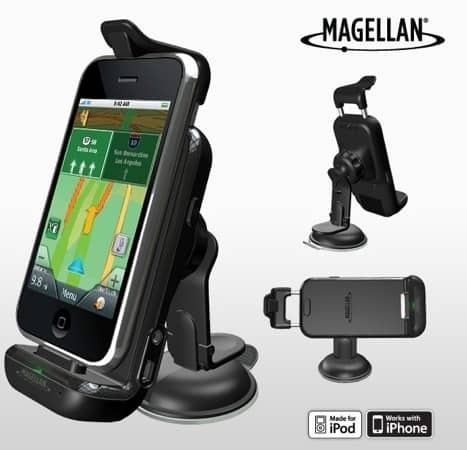 Magellan has a car kit like the one from TomTom that does same the trick for the iPod Touch. Also, while your iPhone or iPod Touch is plugged in they will be charged. Plus, you will be able to enjoy a sound that is slightly louder than the ones on your device thanks to the built-in ones on the car kit. Do you want to relive every moment of the climactic sequence of events that led to the destruction of the Death Star? Better yet, do you want to be the one who destroys it? Well guess what? Now there’s an app for that! 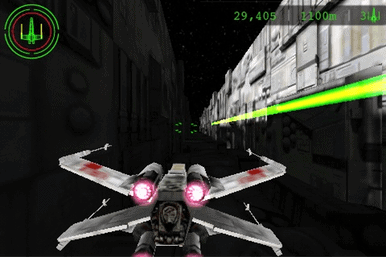 Called Star Wars Trench Run, this game drops you right into the thick of the action with hordes of TIE fighters chasing you. ShopSavvy has been Big in Japan where everyone uses their phone to do everything including shopping. ShopSavvy has also been on Android for over year now, letting the green robot’s followers shop at ease through their phones. Now iPhone owners can do the same. Here’s a lesson in why you should just skip some of the apps in the app store. This new app called ‘Fit or Fugly’ passes judgement on your beauty. Yes, it actually tells you if you look good or bad or fugly. Yet another app that taps in to the everlasting well of human vanity. Meh. Fans of RPGs, gather round your respective monitors. This is the story that you are all familiar with. 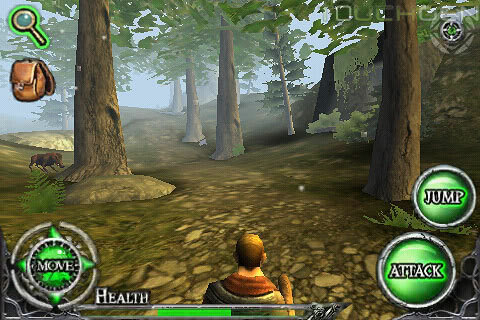 A really great RPG game is now on the iPhone as Ravensword: The Fallen King. This is one game that RPG geeks cannot afford to miss on their iPhones. And if you have never played an RPG before, this can be a great one to start with. This is not a classic RPG board game like Settlers of Catan for the iPhone but a well made 3D Fantasy RPG. Get in on the latest in the iPhone app store, the hottest little place to be on earth if you truly believe that for every problem there’s an app just waiting to happen. Shailpik Biswas has a college degree in English Literature, writes for multiple technology blogs and makes music in his spare time. When not writing or playing, he can be found pointing his amateur lens at innocent victims. Follow him on twitter @shailpik.